This book packs a wallop between its pages. The story is set among the mountains of 1872 Colorado Territory. Lots of space with plenty of rocks and trees to offer rustlers something to hide behind. The story starts in the middle of an action scene and there’s plenty more between the pages on account of all the bank robbers and rustlers. Suspense and suspicion are maintained so you don’t really know who the bad guys are or how they’re involved until the end. 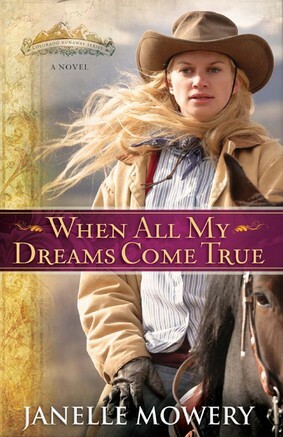 I like that the heroine, Bobbie McIntyre, wore trousers in her day-to-day work as a wrangler. And that she could shoot better than most men. It didn’t take long for me to see the kind of woman Bobbie was and although so many things changed over the course of the book, she stayed true to her character. Jace Kincaid is a very likable hero – even when he faltered and I wanted to swat him on the side of his head. But his actions fit his character profile and I knew why he did what he did even if I didn’t agree with his reasoning. His action certainly upped the tension between the characters and increased the suspense. The roller coaster romance takes us on a ride where our emotions heat up and cool down only to ride higher, faster, and longer as we reach the crest, then plummet in despair wondering if Bobbie and Jace will ever get together on the same track. And through the story, the Gospel is unraveled to Bobbie who doesn’t realize she’s searching for a heavenly as well as physical home. 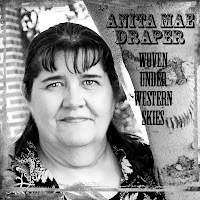 This book will appeal to anyone who likes stories about tomboys, Salvation, and the Wild West. I love your reviews and completely trust your judgment on this one! Nice job. I don't know much about this author. Any more info? Any more info? The author lives in Texas. That's all I know about her. Honestly, can I say I read this with a jaded heart since Harvest House rejected my own manuscript? I wanted to not-like this one in a big way. And although there are some similarities to mine, the plot has more twists and turns than I could've dreamed up. Hi Anita, just stopped by to say congrats on making the semi finals in Genesis! This book sounds interesting. Thanks for the review. And good luck with Harvest House on your next MS. I appreciate you taking time to stop by and congratulate me. Have a great weekend. Great review. I'm going ot have to read that now. Hi Anita. Thanks for introducing me to a new author! Janelle is a new author to me, too. And a coincidence is that I'm working on my ACFW author interview this month for Elizabeth Ludwig - who's also a new author to me - and I just read that Elizabeth and Janelle co-authored a book a couple years ago. What timing. That's a cool coincidence, Anita. Congratulations, again, on making the Genesis semi-finals. And speaking of that, Naomi, I heard you made the semi-finals,too. Congratulations to you, too! I've yet to see the list, but one of my critique partners is also a semi-finalist. Naomi - Congratulations, girl! Please forgive me... I'm terrible with names and there are so many good writers on that list. I really do appreciate you dropping by. And Suzie - thank you for being on the ball this morning. Oh, you silly girl. I don't think you slighted anyone. How can you be expected to memorize every name on the list? Don't fret over things like that. Enjoy being in the top 20%. It's a wonderful and exciting accomplishment. CONGRATULATIONS to the semi-finalists!! Yeehaw! Bask in this moment, ladies. Oh yes, back to the book recommendation. This book sounds really fun. Thanks for the intro to an author who's new to me! I love your reviews, Anita. Thanks, Susie - on both counts. Further to my comment about the book Janelle Mowery co-authored with Elizabeth Ludwig, it seems to be a common occurence as they both co-authored the book I'm featuring for the ACFW Featured Author on May 2nd as well. And it's not their last liaison. This sounds like quite a team.